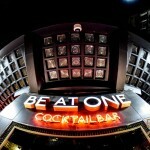 Trying to find pubs in Bournemouth? You’ve come to the right place. We’ve got every pub and bar in the UK listed. Whether you’re looking for a pub or bar in Bournemouth to play darts, somewhere to play pool or just want to have a look at a menu before you go, we can help. 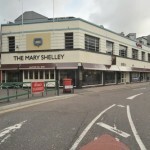 Mary Shelley in Bournemouth has disabled facilities. The pub is a family friendly pub, it serves food. Mary Shelley serves real ale. The pub has free WiFi, it is a member of Cask Marque. Steakout in Bournemouth shows football on TV. The pub has terrestrial TV. 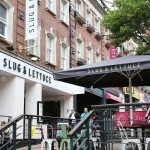 Located on the edge of bustling Bournemouth Square, Be At One Bournemouth submerges you into a world with pumping tunes, friendly faces and cosy booth areas for you to party until the early hours of the morning. Moon In The Square in Bournemouth has a beer garden. The pub has disabled facilities, it is a family friendly pub. Moon In The Square serves food. The pub serves real ale, it has free WiFi. Moon In The Square is a member of Cask Marque. 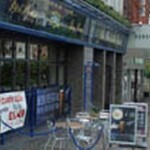 You’ll find us just off the square in the centre of town only five minutes’ walk from the beach via Bournemouth gardens. 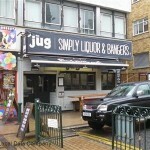 Dancing Jug in Bournemouth has a beer garden. The pub has a car park, it is a family friendly pub. Dancing Jug serves food. Court Royal Hotel in Bournemouth has accommodation. The pub has a dart board, it has DJ's. Court Royal Hotel has karaoke. The pub has a pool table, it has a big screen. Court Royal Hotel shows football on TV. The pub has Sky Sports, it has terrestrial TV. Bakers Arms in Bournemouth gives a warm welcome to dogs and their owners. The pub has a function room that can be booked, it serves real ale. Bakers Arms has karaoke. The pub is a member of the BII. 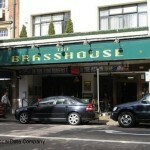 Brasshouse in Bournemouth has a beer garden. The pub has a car park, it serves food. Brasshouse serves real ale. The pub is a member of Cask Marque. Hop Inn in Bournemouth has DJ's. The pub has karaoke, it has live music events. Hop Inn shows football on TV. Eden in Bournemouth shows football on TV. The pub has terrestrial TV. 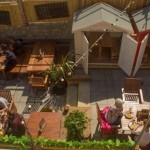 Brewhouse and Kitchen in Bournemouth has a beer garden. The pub has a car park, it is a family friendly pub. Brewhouse and Kitchen serves food. The pub has an outside area, it serves real ale. Shamrock Bar in Bournemouth has a dart board. The pub has live music events, it has a big screen. Shamrock Bar shows football on TV. The pub has Sky Sports, it has terrestrial TV. Le Banque in Bournemouth shows football on TV. The pub has terrestrial TV.